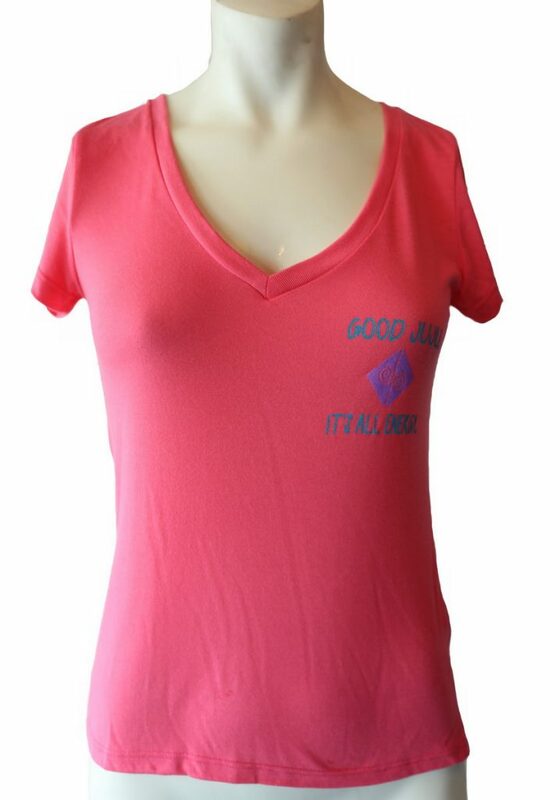 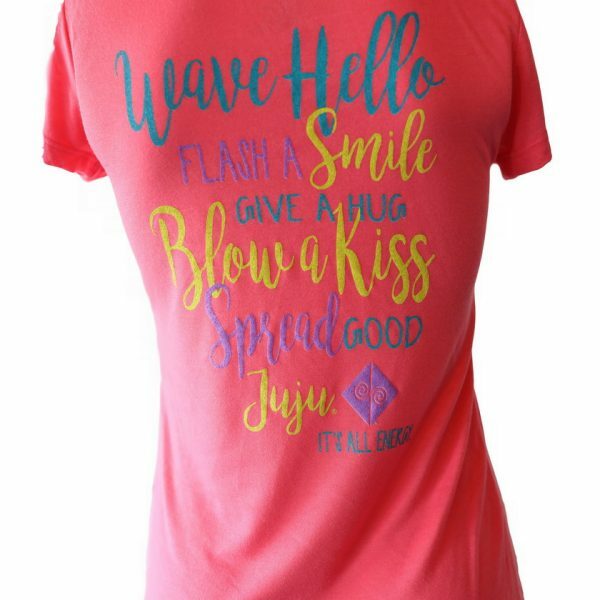 Good Juju’s Wave Hello, Flash a Smile, and Blow a Kiss coral colored deep v-neck tee is fun and flirty! 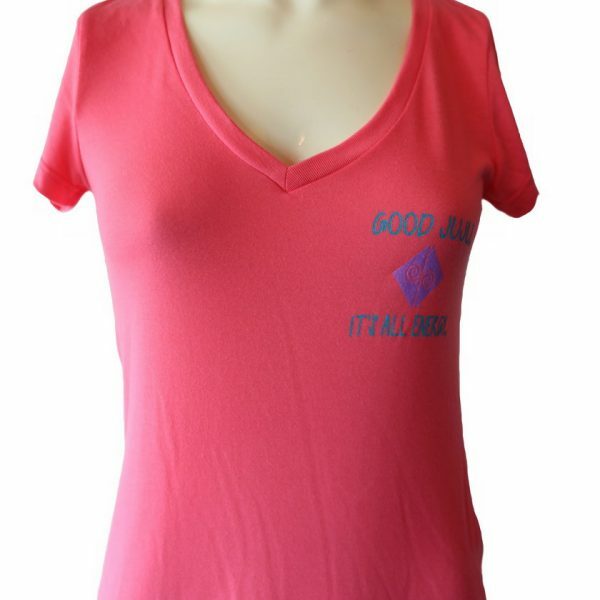 Made from a poly/cotton blend this is an item you will enjoy for years to come! 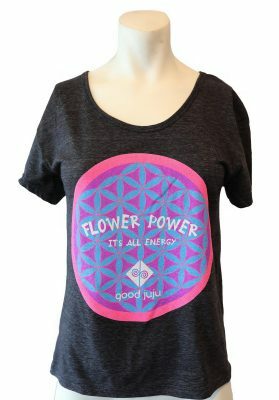 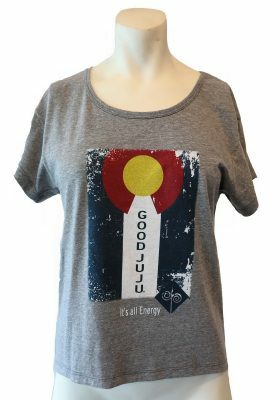 The front of the tee has Good Juju, It’s all energy, and the logo on the left chest. 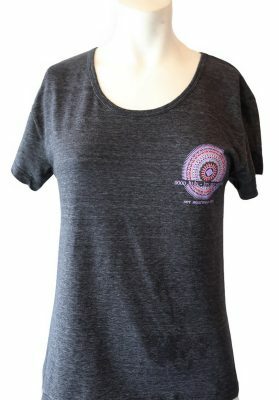 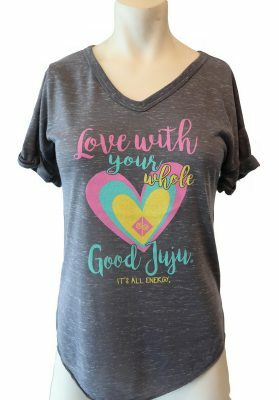 The bright and happy design is on the back of this precious v- neck tee! 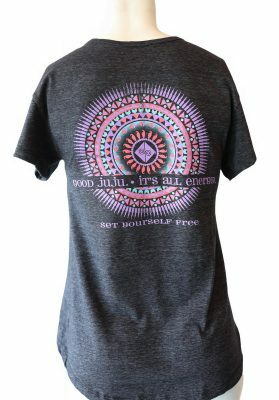 This tee runs a little small you may choose to size up. 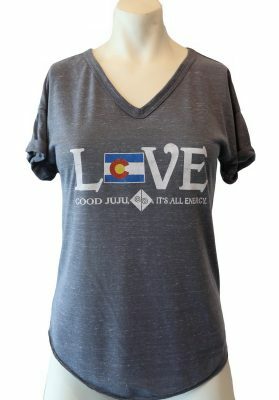 Sure to make a fantastic gift for you, your best friend, sister or any other special gal!